Published September 1st 2012 by Frederick Fell Publishers, Inc.
Rose is a young girl and has just been liberated from a Nazi death camp. As she is convalescing in the hospital, a nurse hands her a journal and suggests that she records her experience before she forgets. Rose says that she will “never forget.” 70 years later, her grand -daughter Danielle discovers the journal entries. Danielle is struggling in an abusive relationship. And the two lives intersect. This is the story of survival, self- discovery, justice, and ultimately about love. Interviewer: Danielle. You are so bright. Why would you marry Jacob? Danielle: From the time I can remember, it seemed that my father and I were joined at the hip. He also raised me as my Mom died when I was only three. And I feel he sacrificed his life for me. Interviewer: But you had your doubts about Jacob? Danielle: Of course. From the moment I met him, I could not imagine a relationship. But my father said I would learn to love him. Interviewer: Are you mad at your Dad for what you had to endure? Danielle: He is my father. And he thought that his wisdom and experience would prove correct. And no, I cannot be mad. Besides, had I not married Jacob and fled to LA, I would have not met Cliff, the most amazing man in this world and the father of my beautiful daughter Rose. 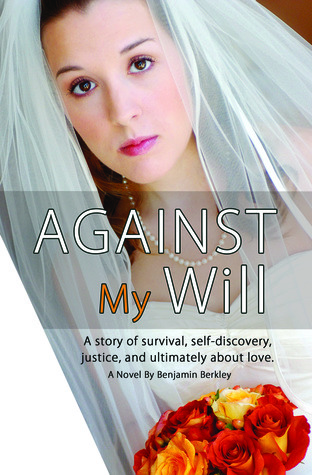 “Against My Will” is Benjamin Berkley’s fifth book and debut novel. He is also the author of four self-help books: “My Wishes, Your Plan for Organizing Your Family’s Needs” (Sourcebooks, June, 2006) “The Complete Executor’s Guide” (Sourcebooks, June 2007) “Winning Your Social Security Disability Case” (Sourcebooks, February, 2008) and “Before You Say I Do Again, A Buyer’s Beware Guide to Remarriage.” (Frederick Fell Publishers, September, 2009). And though writing is his passion, for over 34 years he has conducted a busy law practice in which he has seen many interesting clients come through his door. One in particular, an older woman with white hair, the kindest smile, and an amazing story became the inspiration for one of his characters for “Against My Will.” Berkley lives in southern California with his wife Phyllis and their cat Riley. He has two grown children and is always bragging about his most beautiful grandson and granddaughter. Thanks again for taking part in the tour! Good luck to everyone who enters the giveaway! This book looks so good. It actually makes me think of my mom a bit. I feel like I might understand her better after this. And that kind of makes me sad.